Deal Of The Week – Check back every Friday! Sale price includes all fees. Only licensing & HST extra. Accident free DEMO model!! Here’s your chance to save some money on an employee driven and dealer maintained vehicle. 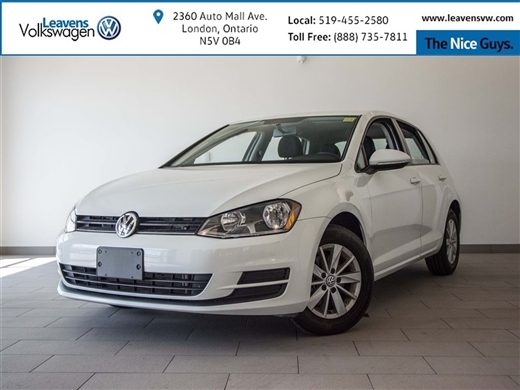 This Golf Trendline has features like Bluetooth, USB input, rearview camera, air, alarm system, floor mats, and tire pressure monitoring and a lot more. Special financing rates available OAC plus a long list of warranty options! Sale price includes all fees. Only licensing & HST extra. ALL TRADES WELCOME! Call for full details 1-888-735-7811 or email sales@leavensvw.com or drop by in person to take a test drive. 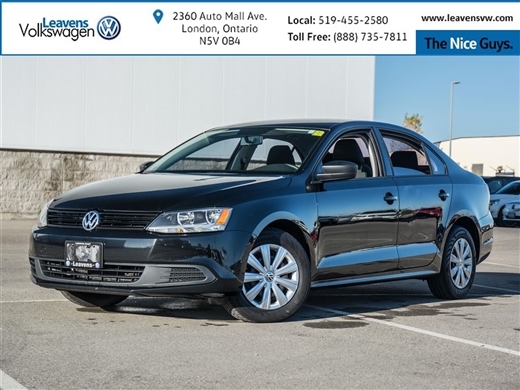 ACCIDENT FREE****VW Off Lease, Fully Serviced, New Brakes, 2013 VW Jetta Trandline Plus equipped with cloth, Heated Seats, AM/FM/CD, Power Locks/Window, Keyless, Cruise Controls and so much more. Call for details 1-888-735-7811 or email sales@leavensvw.com or drop by in person to take a test drive.